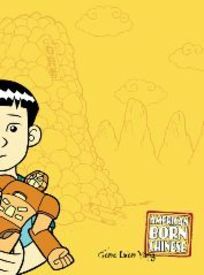 American Born Chinese by Gene Luen Yang is a stunning debut graphic novel. 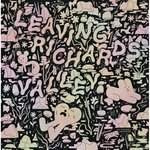 Yang's art and story are equally tight, sharp and controlled in its relaying of a moving tale of minority ethnic identity centered in a Chinese community in California that focuses on the coming of age adventures of a self-conscious youth (some Copacetic customers may remember that we carried American Born Chinese during its original serialization in Yang's self-published B & W mini-comic version that was released in an unusual assortment of issues divided into sub-sections). This book went on to win several awards, be translated into many languages, be taught in schools all over America, and sell an amazing number of copies along the way. In creating ABC, Yang hit on the ingenious device of employing a derogatory, racial caricature to represent the introjected feelings of self-loathing that can beset any minority member at times of stress/conflict/oppresssion within the dominant majority, directly communicating to all the damaging effects of racial stereotyping.